Rejoice fair citizens! Let freedom ring (literally) with the annual Keuka Lake ring of fire, one of our famous Camp Cory carnivals, and our annual Camp Cory 5K. To top it off, this is the week we play DOUGH BOYS!!! Bring your red and blue shirts because this week will be all about COLOR WARS. Face challenges and tasks throughout the week as a team and as individuals to find out once and for all which color will come out on top! Of course, it wouldn’t be a color war without STRATEGO! *this is a talent show week – feel bring to bring items from home to participate! One small step for a camper, one giant leap for Cory-kind! It’s a race… to the stars. Join the rest of our staff and campers as we race through the galaxy and conquer the universe! When Tucker makes a wish on a magic kumquat, he accidentally mixes up all the holiday characters into one smorgasbord of crazy holiday fun! We don’t even mind the mix-up; come celebrate with us! Oh gracious! Famous stories have now come to life. The only way the make it out is to get to the end of the story. Down the rabbit hole we go! Hear ye! Hear ye! 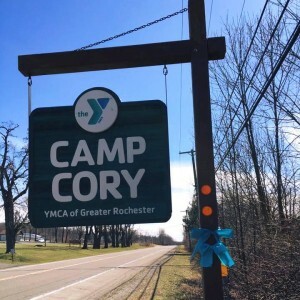 In an unprecedented change to our camp structure, we at Camp Cory decree that one village should rule over the rest and sit on the Thunderbird Throne. Which village will come out on top? Join us this week to compete for the Throne and for GLORY! **there will not be any actual changes to our camp structure- it’s all in good fun!